/PRNewswire/ - Thanksgiving is a day to be thankful for what you have and appreciate people in your lives. Understanding what makes a business successful are the users, 123Greetings.com takes the opportunity to thank its users for their continuous usage and appreciation of its ecards. To encourage users to further enjoy the services, 123Greetings.com offers over 70 new Thanksgiving ecards that are sure to warm people's hearts. The sincere messages are ideal to put emotions in words and brighten anyone's day. The card designs reflect current trends and display a large variety across Thanksgiving essentials such as wishes, family dinners, turkey fun and more. These ecards can be sent on-the-go through the use of its mobile website and mobile application. They help users to never miss an occasion through features such as birthdays and event reminders, and easy sending on social media platforms. Users' loyalty to the brand is reflected as more people are using these platforms to send wishes. It is expected that 25% of Thanksgiving ecards will be sent from handheld devices, this year. 123Greetings.com has also upgraded its mobile website to provide a cleaner design, menu driven interface and easy search facility to enhance user-experience. Mr. Arvind Kajaria, Founder of 123Greetings.com, says, "Our viewers have supported our efforts through our innovations and developments. We are grateful for their love and extend our sincere thanks for sharing and making our ecards a part of their lives. I wish everyone a Happy Thanksgiving." 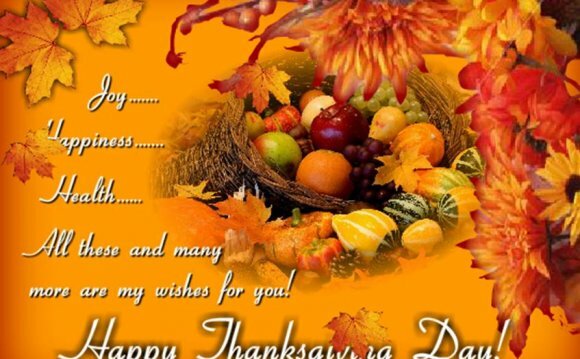 123Greetings.com offers over 760 Thanksgiving ecards across 12 categories for users to choose from.